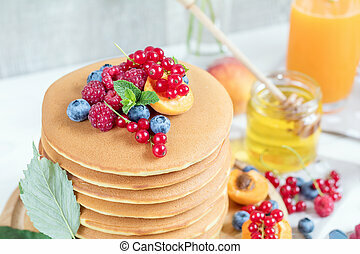 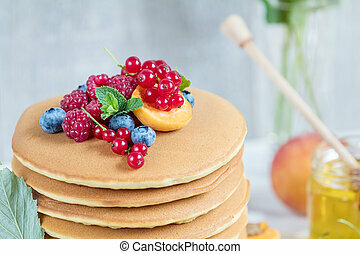 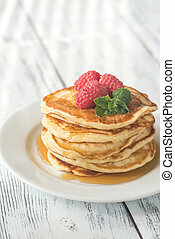 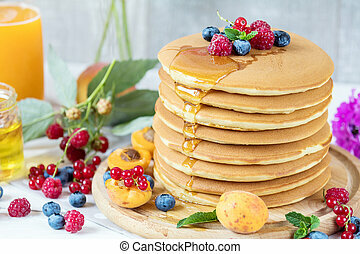 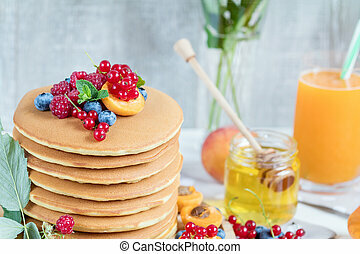 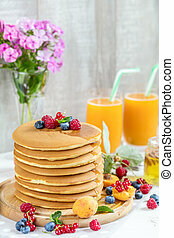 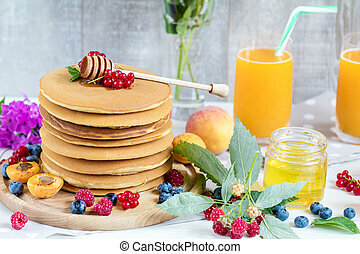 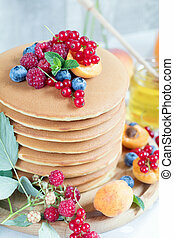 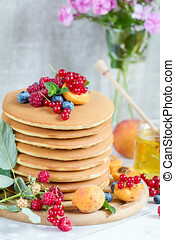 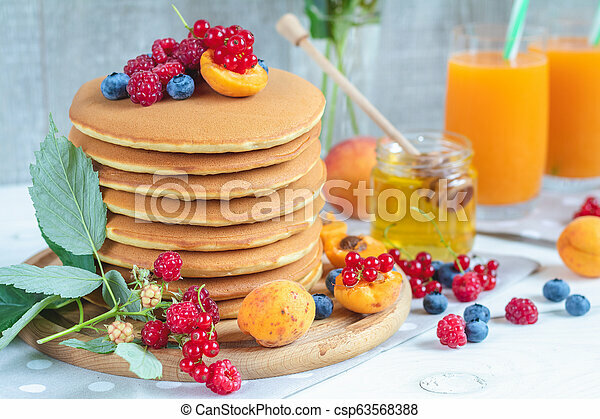 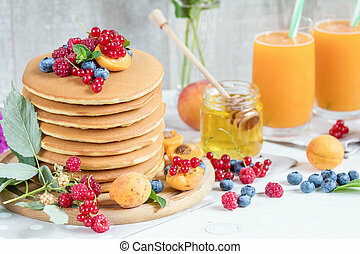 Fresh delicious pancakes with summer raspberries, blueberries, red currants, apricot, peach and mint. 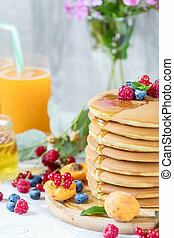 Two glasses of orange juice, honey, light background. 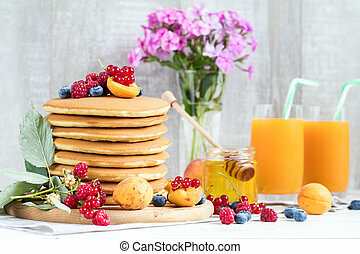 Sweet nutritious food. 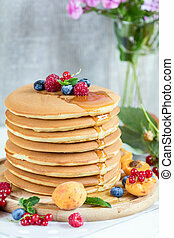 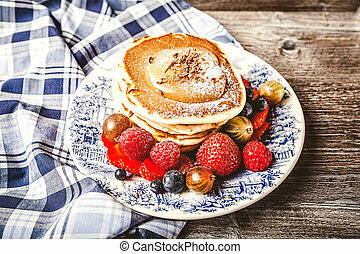 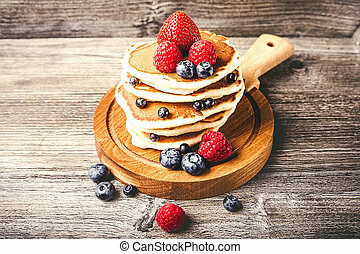 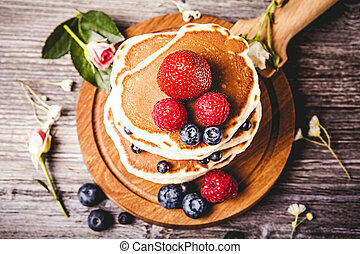 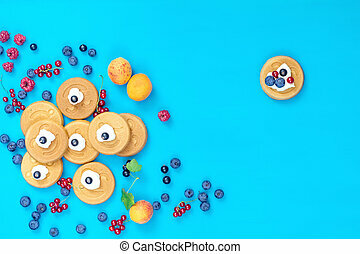 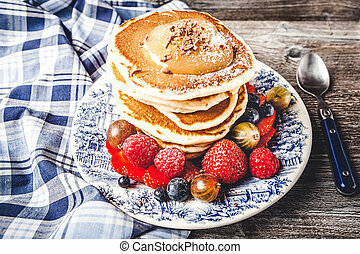 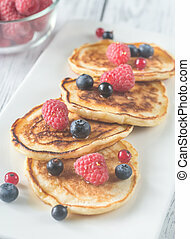 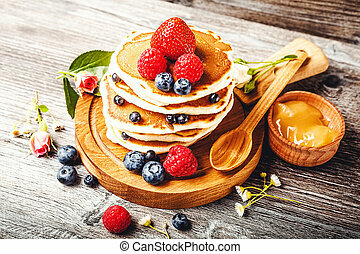 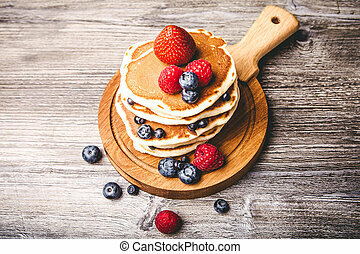 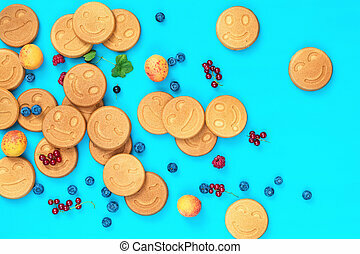 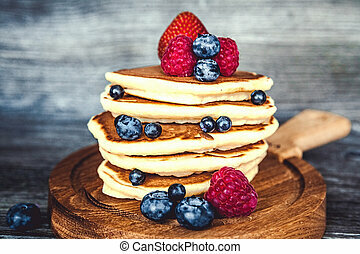 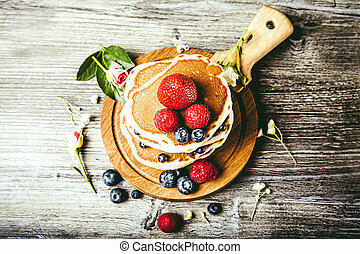 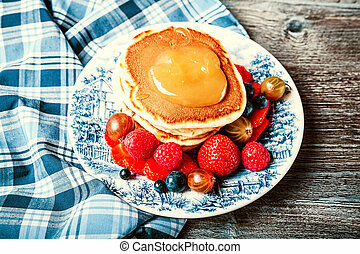 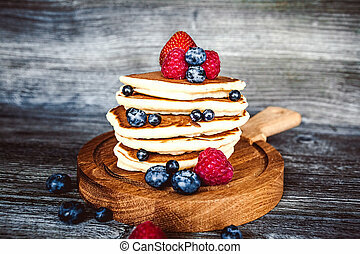 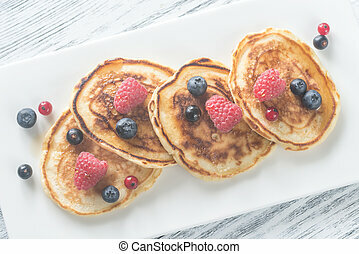 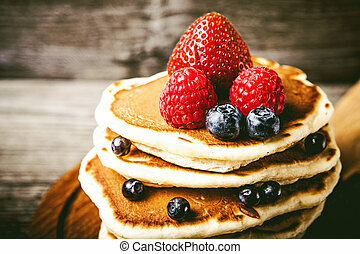 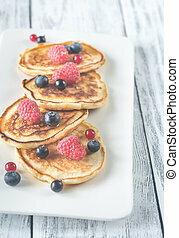 Delicious mini smile pancakes with berries on blue surface, top view. 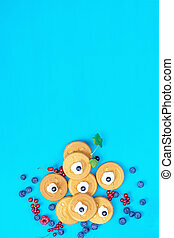 Flat lay, top view sweet food background.